The Cottage at Graysondale Farm is part of a barn conversion near the town of Cockermouth in the Lake District. There are two bedrooms in the property comprising of a double and a twin bunk room, there is also a family bathroom, the property can sleep four people. Also inside there is a kitchen/diner and a sitting room. To the outside there is plenty of off road parking and a rear enclosed patio garden with furniture. 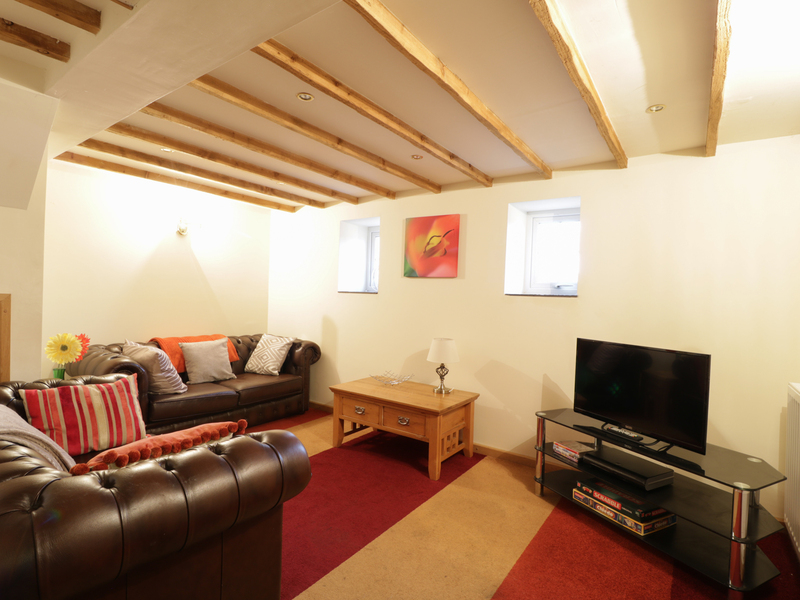 The Cottage at Graysondale Farm is a warming cottage to be enjoyed at any time of year. Two bedrooms: 1 x double, 1 x bunk. Shower room with a basin and WC. Kitchen with dining area. Sitting room. Gas central heating. Electric cooker, microwave, fridge, dishwasher, TV with Freeview, WiFi, selection of books, games and DVDs. Fuel and power inc. in rent. Bed linen and towels inc. in rent. Ample off road parking. Rear enclosed patio with furniture and access to the owners two acre wood. Two well-behaved pets welcome. Sorry, no smoking. Shop 3 miles, pub 5 mins walk. Note: This property has access to the owners 2 acre wood, and there are wild toadstools so care must be taken at all times. Note: There is a stream at the end of the property, care must be taken at all times.